Kershaw Antelope Hunter II 1028 Knife. This fixed-blade knife is the perfect size to cut deer and use for field game dressing. The 3 5/8 inch blade is made of tough 8CR13MoV stainless steel, rated 58-60 on the Rockwell scale. It has a satin finish and overall length is 8 inches. 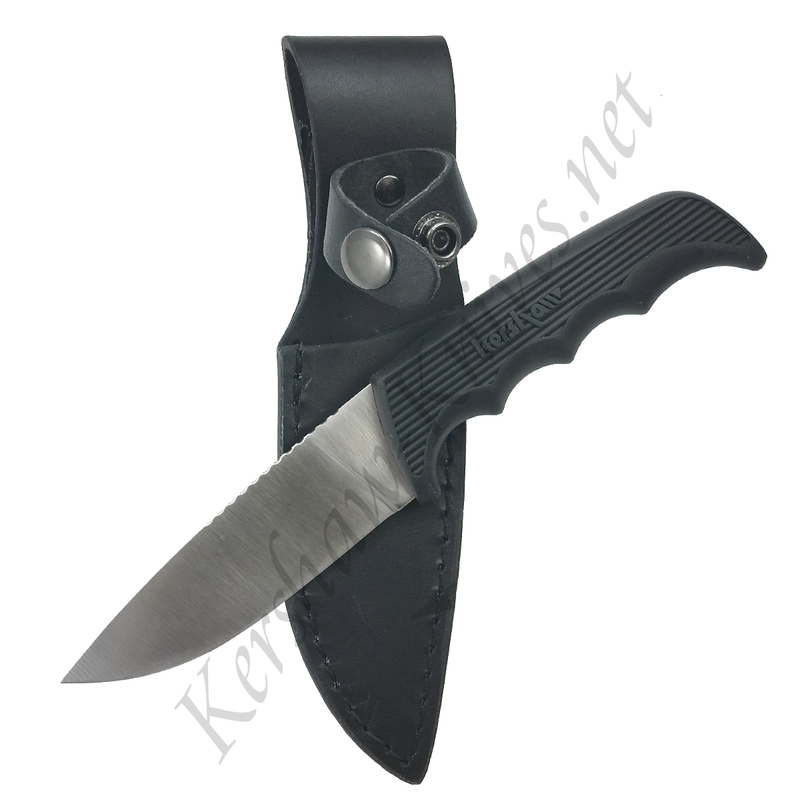 Comes with a leather sheath that fits through your belt loop and closes around knife with a snap. Contoured finger grips on the co-polymer handle help you keep this steady for cleaning, even with wet conditions.